Nice product. Each cloth does the work efficiently as described to advertisement. 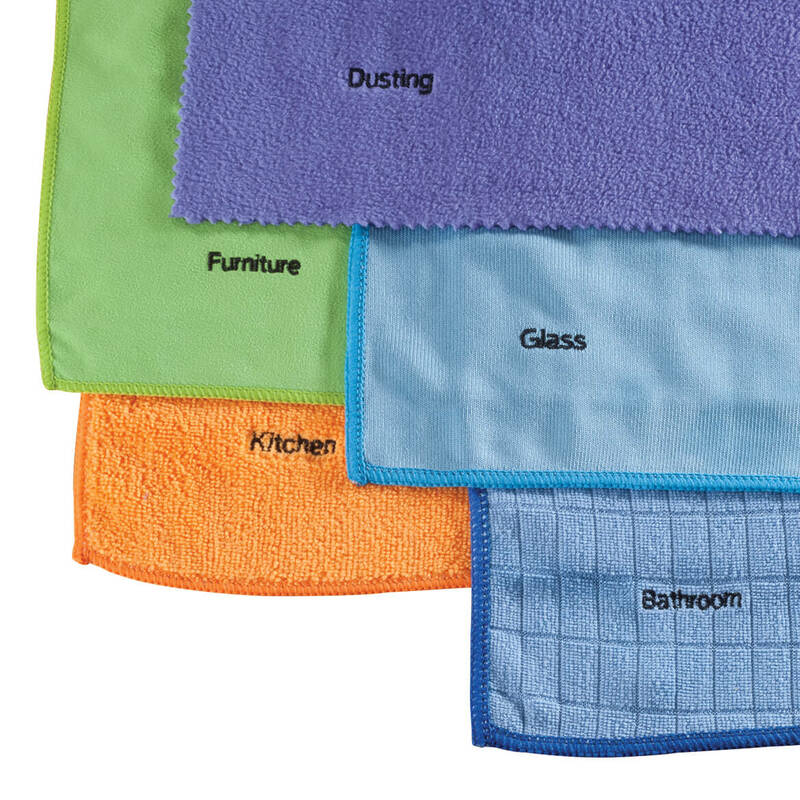 A clever idea to name tag each cleaning cloth making it easy to pick the right one for each chore. And they are even color coded. For each room that I clean ,I will have a cleaning cloth for it . Concerned with cross-contamination, I like the idea of having designated cleaning rags. I like the idea of each cloth being designated for a specific purpose (and color coded). These cloths are marked for specific use. No more paper towels for mirrors and glass. My wife loves them.